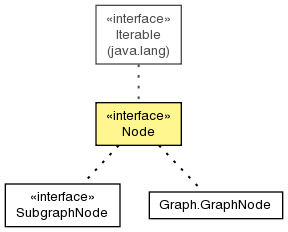 A node in a graph, with methods to access the properties and children. Get the children of the node. Get the children that have the supplied name. Get the list of child segments. Get the time at which this node representation should no longer be used. Get the graph containing the node. Get the location of the node. Get the properties on the node. Get the map of properties keyed by the property names. Get the property with the supplied name. Return whether this node has children.